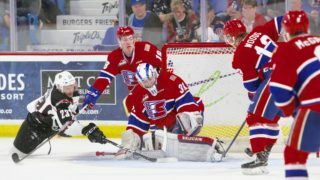 SPOKANE, Wash. — The Spokane Chiefs moved one step closer to clinching their second-round playoff series versus the Everett Silvertips on Wednesday night, winning at Spokane Arena, 3-1. The Chiefs now hold a 3-0 advantage in the best-of-seven, with Game 4 scheduled for Friday night in Spokane. The two division rivals traded goals in the first period, starting at 7:42 as the Chiefs’ Ethan McIndoe deflected a Filip Kral point shot for his fifth goal of the postseason. Everett answered at 9:39 when Robbie Holmes fired a shot under the bar from the right circle to tie it up at 1-1 headed into the first intermission. Things stayed deadlocked through the second as Bailey Brkin stood tall in net, turning aside all 13 Everett shots. 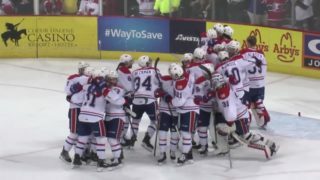 Adam Beckman scored the game-winner for Spokane at the 2:21 mark of the third, taking advantage of a scrum in front of Everett goalie Dustin Wolf to chip his fourth playoff goal into the open cage. 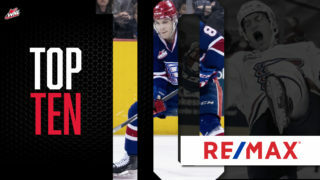 Spokane clamped down after that, allowing just five shots against in the decisive third period before team co-captain and Los Angeles Kings prospect Jaret Anderson-Dolan added the empty-netter at 19:32. 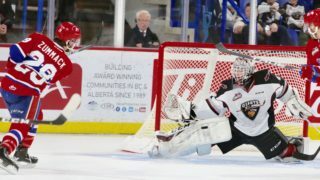 Brkin earned first star honors on the night, going 29-for-30 in goal – pushing his postseason save percentage to a WHL-best 0.930. Wolf finished 17-for-19. Spokane went 1-for-3 on the power play and 2-for-2 on the penalty kill. 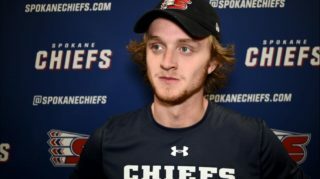 The Chiefs will go for the series sweep on Friday night at Spokane Arena. Fans are encourage to wear white as they “WHITE OUT” the Arena for the remainder of the series. Game 5, if necessary, will also be at Spokane Arena, on Saturday night. 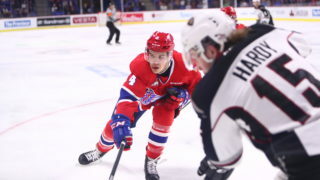 The Chiefs’ second-round playoff series versus the Everett Silvertips continues with Game 4 on Friday night at 7:05 p.m.
Tickets are available online, over the phone at 509-535-PUCK or in-person at the Chiefs’ Ticket Office at Spokane Arena.